If you’re looking for a great, interactive way to motivate your employees towards a healthier lifestyle, then a pedometer program might be just the solution for your corporation. With an easy-to-use program that’s all online, a corporate pedometer program can be a simple and effective way to engage employees on a daily basis and gi ve them goals to strive towards. Wellworks offers a comprehensive program option for businesses looking to implement such a program. When you implement the Wellworks comprehensive pedometer program with WellTrek software, you’ll add an entirely new dimension to your employee wellness strategy. This is a popular option among corporations that are looking for creative ways to incentivize employees to achieve health goals and develop a more active lifestyle. This comprehensive program provides the total package – everything you need to get started right away! Your employees will each receive a free, personal USB pedometer, which they can keep with them to track their progress. The included software provides the capability to set goals and track steps so that all data is measurable. The WellTrek software also allows employees to develop their own virtual map journeys for locations where they would like to walk or jog. 360-degree views, calorie counters and real time progress is displayed on the interactive map feature. The comprehensive program is simple to implement and can yield incredible results! Because it is so easy and measurable, it is the preferred wellness program of choice for many corporations. 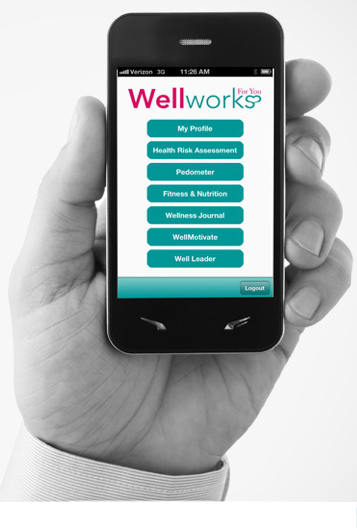 For your employees, participating in the WellTrek pedometer program couldn’t be easier! Whenever they are ready to do some walking, they simply place the pedometer on their person and begin. Following activity, results can be uploaded directly to a PC by simply plugging in the USB pedometer. The WellTrek software will automatically upload that employee’s data, track their steps and update their profile. The USB pedometer can store not only steps, but also total miles, aerobic activity and calories burned. And it hold up to 40 days worth of stored data! When you implement a program like this at your company, you’ll find that the benefits are numerous. Healthier employees always make for a healthier company. So, to summarize, let’s take a look at some of those benefits that will actually contribute to your bottom line.